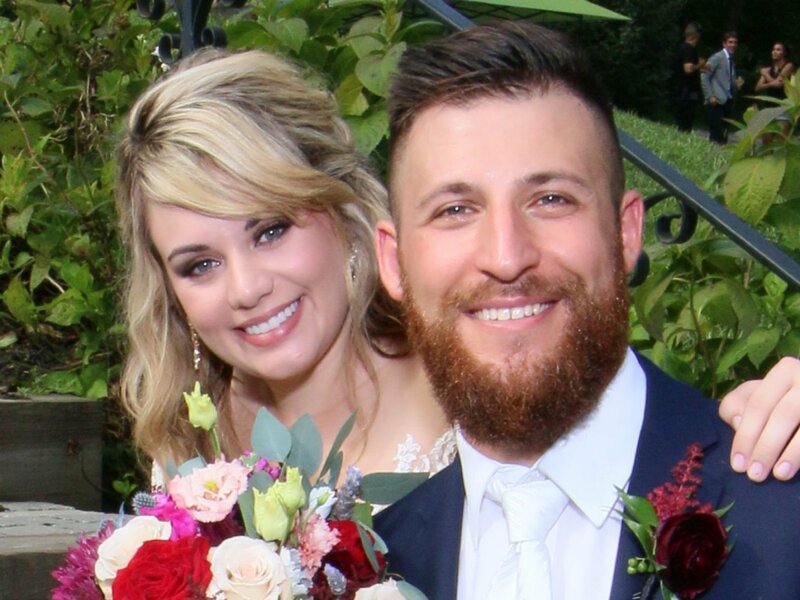 Married at First Sight debuted in America five years ago and eight seasons following 25 couples have aired thus far, with Season 8's reunion show airing on Lifetime tonight. Each season of Married at First Sight -- which is based on a Danish series -- features couples (previously three couples, but Season 8 features four couples) that are paired up by relationship experts and agree to marry when they first meet. Complete strangers become husband and wife in a matter of seconds, and then their lives are documented by cameras over the course of four to eight weeks (seven weeks, in the case of Season 8 of Married at First Sight). The Married at First Sight couples typically enjoy their first night together in a hotel after exchanging vows -- with some couples deciding to consummate their marriage immediately -- and then they embark on a honeymoon, move in together, and simply attempt to conquer the struggles of daily life as man and wife. At the end of the extreme marriage experiment, each couple must decide whether they'd like to stay married or get a divorce on "Decision Day." Married at First Sight has had some mixed results over the years. While many couples choose to stay together and continue on with married life at the end of their season, the real world away from cameras seems to hit them hard, resulting in a split only months later. Do cast members see a different side of their spouses once cameras are turned off, or do the romances naturally fizzle over time? Some Married at First Sight couples are still together to this day and are extremely happy. Jamie Otis and Doug Hehner from Season 1, for example, welcomed their first child together in August 2017, a baby girl they named Henley. Several other Married at First Sight couples are also expecting children or already had them recently, including Ashley Petta and Anthony D'Amico, and Shawniece Jackson and Jephte Pierre! However, then there are Married at First Sight relationships that ended badly. Jessica Castro from Season 2, for instance, accused her ex-husband Ryan De Nino of alleged death threats, and she went on to file a restraining order and lawsuit against him. Some Married at First Sight couples have also never even made it to "Decision Day" and ended their marriage prematurely, including Season 4 couple Heather Seidel and Derek Schwartz, and Season 6 couple Molly Duff and Jonathan Francetic. Are the remaining Married at First Sight couples lovers, friends or enemies?! What about early season couples like Cortney Hendrix and Jason Carrion, Jaclyn Methuen and Ryan Ranellone, Vanessa Nelson and Tres Russell, Sonia Granados and Nick Pendergrast, and Lillian Vilchez and Tom Wilson? And how about more recent season couples like Danielle DeGroot and Cody Knapek, Sheila Downs and Nate Duhon, Jaclyn Schwartzberg and Ryan Buckley, Danielle Bergman and Bobby Dodd, Dave Flaherty and Amber Martorana, and Tristan Thompson and Mia Bally? What is the current status of each relationships now?! Click the BEGIN GALLERY link below to see a photo of each Married at First Sight couple and find out!